The PGPM (Post-Graduate Program in Management) Class of 2017 at SPJIMR Bharatiya Vidya Bhavan in Mumbai comprises 138 students with an average age of 29 years. The majority of them at 62 have an Information Management Background. Operations & Supply Chain comes next at 42 followed by 27 in Marketing and 7 in Finance. It also provides a special focus on improving the social sensitivity of participants. One such project involves working with NGOs (Non-Government Organisations) in a rural setting for about 2 weeks. The average GMAT score is 658. 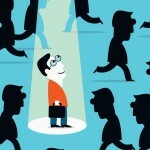 SPJIMR boasts of an alumni network of 1110. SPJIMR is 18th in the National Institutional Ranking Framework (NIRF) rankings 2017. The PGPM program includes a 3-month International Immersion at one of the top Ranked Ivy League Global Business Schools. The school also claims to have a strong industry connect with the locational advantage of its Mumbai campus. 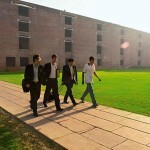 The single campus school is not to be confused with other B-schools with similar name elsewhere. 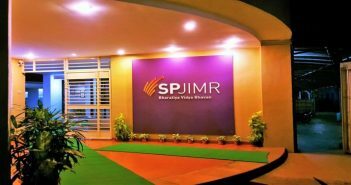 SPJIMR offers courses in four specialisations, namely, Information Management, Marketing, Operations and Finance. The Institute says that it helps students appreciate the way nonprofits grapple with promoting big ideas as they build their networks and organisations with very little power and limited resources. The school had set up the Centre for Development of Corporate Citizenship (DOCC) to bring management education closer to reality in the Indian context. It provides exposure to students in the dynamics of life in rural India, where despite modern day tele-connectivity opening up new opportunities, many of the traditional challenges like poor infrastructure remain. The participants have to work on a 10-day project being implemented in socially or economically disadvantaged sectors in urban/rural areas through a variety of activities that include field visits, consulting and research in the social sector. The project reports are evaluated by an expert panel comprising faculty, representatives of NGOs and corporate leaders. Along with theoretic classroom inputs, the program encourages participants to constantly be in touch with the industry and industry trends, through working on live projects, cases, guest speaker series and mentorship programs with the industry speakers. The annual conclave ‘Samavesh’ brings top business leaders on campus to interact with students, participate in panel discussions and enable a rich exchange between business and academics. Besides being ranked among the Top 5 Business Schools in India, SPJIMR holds profile specific customization and international immersion at top ranked Ivy League Global Business Schools as highlights of the program besides the location advantage of Mumbai that provides a strong industry connect.